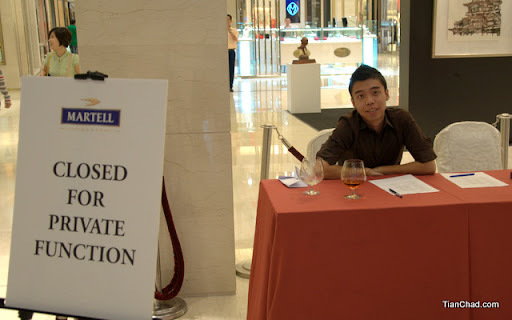 "A prestigious evening took place at the swanky Martell retail boutique on Pavilion KL recently, where twenty-four lucky readers were treated to an intimate event of fine cocktails and delectable canapes. 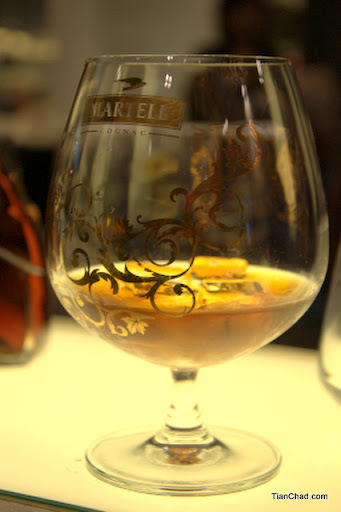 Helmed by cognac connoisseur Lionel Lau, guests were educated on the finer art of cognac tasting where they had a chance to sample some of Martell's best range of mixes. 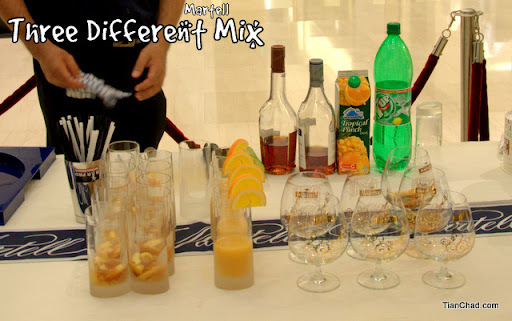 The NewMan's Martell Tasting consequently ended on a high note - everyone left feeling a little bit happier and with a better appreciation of quality cognacs as a definitive way of living luxuriously." Adapted from "NewMan Magazine April 2010"
Two months back, I was one of the fortunate readers selected to experience the Martell cognac. Yes, I do like to try new stuff and this is considered one of it. 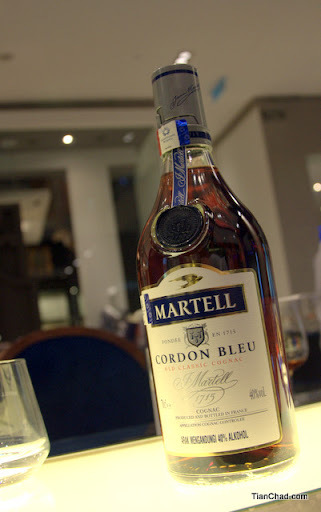 I have always heard about Martell but I never really tasted it before till that evening. Had a warm welcome once I reach there. LG Chocolate BL40 just looks as elegant as a bottle of Martell. That was the moment when I was still reviewing the LG phone. They also have belles accompany us along the testing session. 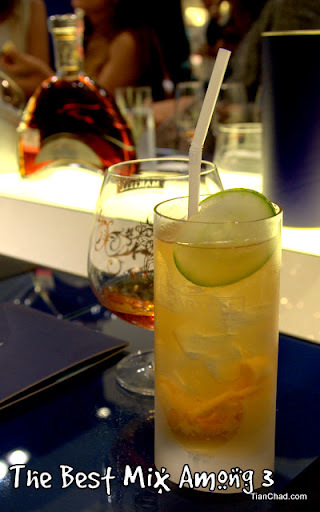 Pure Martell Cognac which mixed only with ice cube are tasted bitter and burning after you take a sip. After all the percentage of alcohol is very high. 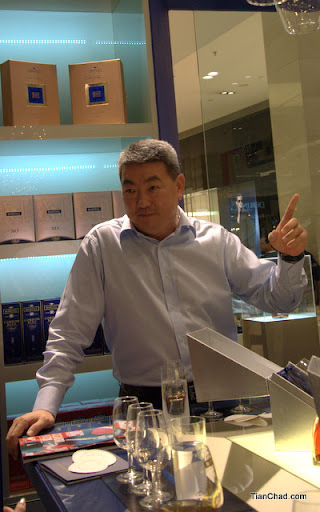 Lionel Lau has taught us some histories and facts about Martell cognac. He said that the first distillation removes the alcohol from the wine by heating it. The vapour of the spirit rises and travels thrugh the still's familiar swan's neck and condences into a iquid called "brouillis". The brouillis is then distilled a second time. Martell keeps the "heart" (or best part) of this second distillation. After distillilation, only a long period of maturing in the Troncais oak wood casks allows an 'eau-de-vie' to become a Cognac. Now I understand what is a cognac. And of course a blogger, Rachel Tan who working in advertising industry! At last you can see your picture here! One last thing to share, this is the message from the Martell displayed in glass. Thanks again to NewMan Magazine for giving us reader a different kind of tasting session and Lionel for teaching us about Martell Cognac! PS: For more great stories do buy yourself a sheet of NewMan Magazine~! Omg, such an awesome event. How I wish I would have the chance to test them as well. It is a nice small event. I am sure in future you will able to attend it. Just look for opportunity ya. I guess it is because of the DSLR ar =) It is still a long way to become someone like smashpOp, his photo are just way too good~! Oh hey! Where is the Puma pix? I thought it was nicely capture, no? Haha sorry for the mistake ^@^"
It means it is a long ong time ago's photo, paisah for taking so long ar. As for Puma's picture coming up asap~!